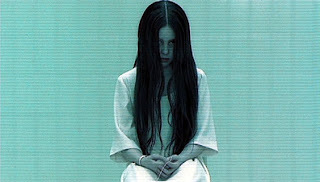 Once upon blue moon, back in 2002, I saw the sneak preview of The Ring at the theatres. As neo-horror flicks seeking to capitalize on the success of The Blair Witch Project and The Sixth Sense went, it wasn't bad. 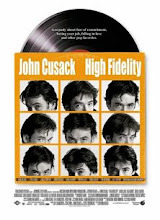 Since then, the film has spawned a forgettable sequel, and looking back, the original film is mostly forgettable itself, save for the presence of Naomi Watts, who has done far better (2003's 21 Grams) and far, far worse (2005's wretched remake of King Kong). The plot meanders unevenly in parts, but it occasionally startles. We are led across the dreary landscapes of Washington State, a grey and perpetually rainy locale which suits the film. But of course, for any such film to be shocking, the ending must be of the twist variety. Rather than arriving at the film's climax, the "twist" comes after all of the loose ends are addressed, leaving the viewer to wonder if it was an afterthought. But such endings are mandatory these days. This must have been new territory for director Gore Verbinski, perpetrator of such flicks as Mouse Hunt, The Mexician, and the fun Pirates of the Caribbean and its unnecessary sequels. 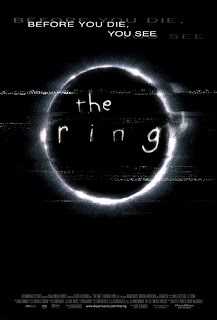 His stewardship of The Ring is not entirely unoriginal, which may not necessarily be faint praise in an era of interminably predictable suspense "thrillers." He did, of course, have some interesting source material; Verbinski joins the ranks of other Hollywood pseudo-auteurs who mine foreign cinema for ideas: the film was based upon the 1998 Japanese film Ringu.